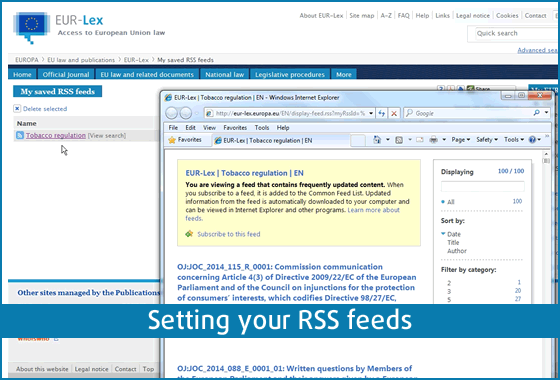 Are there predefined RSS feeds in EUR-Lex? How can I set personalized RSS feeds? Please watch the tutorial to find out more.